The Italy City Council honored the Italy Youth Athletic Association (IYAA) at a special meeting called Monday evening. 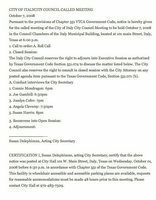 The Italy City Council terminated interim city secretary K.M. Hubert on Monday, Oct. 13. Tonight the city council will hold a special meeting at 6 p.m. to recognize Italy’s Youth Athletic Association. 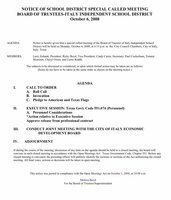 At 6:30 p.m. the council will hold its regular meeting. Approval of recent bills and council meeting minutes start the business of the evening. The city secretary and court clerk positions and other personnel status will be discussed. A presentation by P.J. Libel, the consideration of adopting various fees, department reports and council comments finish the agenda. Meetings will be in the council chambers of the Italy Municipal building at 105 Main Street. All are welcome to attend. 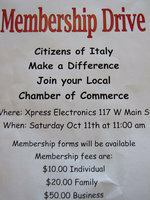 Saturday, October 11 at Xpress Electronics, there will be an opportunity for you to join the Chamber of Commerce. The Italy City Council, the School Board of Trustees, Economic Development Corporation (EDC) and Italy Fire District held a joint meeting Monday evening, Oct. 6. Mark Stiles, president of the EDC, said all the entities in the community needed to work together to better the community. He said the city and school were lucky to have those on the council and school board. “You are doing a job nobody else wanted,” he pointed out. Interviews for city secretary will be conducted in tonight’s called meeting of Italy’s city council. Connie Mondragon, Joe Gambill, Jocelyn Cofer, Angela Cleversy and Susan Harris are the candidates listed. The meeting begins at 6 p.m. in the Council Chambers of the Italy Municipal Building, located at 101 Main Street. All are welcome to attend. The Avalon ISD tax ratification election is Saturday, October 11, 2008 at the Avalon ISD library. Voting runs from 7 a.m. to 7 p.m.
Monday, October 6, Italy’s Economic Development Corporation (EDC) will be meeting with Italy’s Independent School District board. 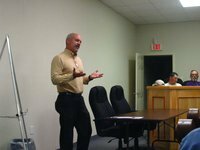 An EDC presentation will be given by Mark Stiles, followed by a question and answer period for all attendees. This portion of the joint meeting begins at 6:30 p.m. in the council chambers of the Italy Municipal Building at 101 Main Street. All are welcome to attend. 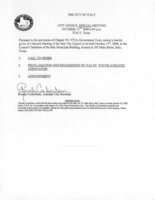 Thursday’s called meeting of the city council has been cancelled. Thursday, October 2, Italy’s city council will hold a called meeting concerning the Public Works director position. The meeting will be held at 6:30 p.m. in the council chambers of the Italy Municipal Building, located at 101 Main Street. All are welcome to attend. Monday, October 6 the board of Italy ISD will conduct a joint meeting with Italy’s Economic Development Corporation. The specially called meeting will begin at 6:15 p.m. in the council chambers of the Italy Municipal Building at 101 Main Street. All are welcome to attend. 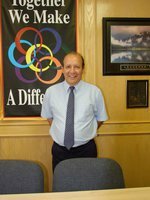 The Italy City Council named John Droll to the city council at a called meeting Saturday morning in council chambers. He will replace the seat recently vacated by Jimmy Hyles. 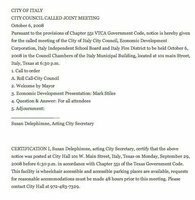 Saturday, Sept. 27 the city council of Italy will hold a called meeting. 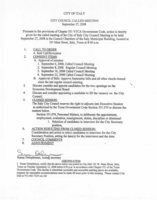 The agenda includes the appointment of two people to the city’s Economic Development Corporation (EDC) and the consideration of someone to fill the vacancy on the city council. Action to select a city secretary is also on the agenda. The meeting is at 8 a.m. in the council chambers of the Italy Municipal Building at 101 Main Street. All are welcome to attend. In a called meeting Monday night, the Italy City Council held a public hearing to discuss a Community Development Fund Grant for water system improvements. No citizens were present at the meeting. The council unanimously approved a resolution for the submission of an application for a Texas Community Development Block Grant to the Office of Rural Community Affairs. The EDC regularly scheduled meeting has been cancelled, but Italy’s city council has scheduled a called meeting for tonight. A public hearing will be held to discuss a Community Development Fund Grant for water system improvements. The council will then decide whether or not to submit a CDFG application for the improvements introduced in the hearing. The meeting is at 6:30 p.m. in the council chambers of the Italy Municipal Building, located at 101 Main Street. All are welcome to attend. Tuesday, September 16, Italy’s city council will hold a called meeting. Economic Development Council (EDC) concerns and Community Development Block Grant (CDBG) project funding are the topics on the agenda. The meeting will be at 6:30 p.m. in the council chambers of the Italy Municipal Building, 101 W. Main Street. All are welcome to attend. Election time for a new president is coming closer, in fact it is November 4. And the registration deadline for the October 11 Italy ISD Tax Rollback Election is today. If you haven’t registered to vote yet, keep reading! In a meeting Tuesday night, it was reported that the Italy Economic Development Corporation had not had a legal charter since 1999. This was brought to their attention this week. According to the Texas Secretary of State, the Italy EDC filed Articles of Incorporation on November 8, 1996 and had a tax forfeiture on February 12, 1999. 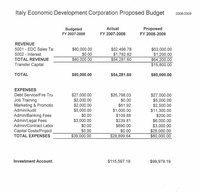 The Italy City Council adopted a tax rate of .936728 per hundred-dollar valuation for the 2008/2009 tax year at its monthly meeting held Monday, Sept. 8. 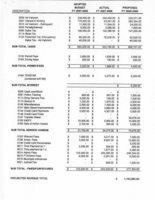 The $2 million-plus budget breaks down to $1,247,700 for water and wastewater and $1,163,983 for the general operating fund. Tonight, is a regularly scheduled city council meeting. A public hearing for the 2008-2009 General and Water & Waste Water Budgets will be held. 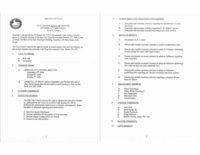 During the following session, the council will consider nine different items of business. In a called meeting on Tuesday night the Italy City Council voted unanimously to accept Jimmy Hyles resignation from the council. Hyles resignation was effective August 22, 2008 and cited personal reasons. 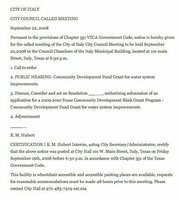 Tuesday, September 2, Italy’s city council will consider council member Jimmy Hyles’ resignation. They will also examine the Property Tax (Ad Valorem) rate for 2008, Phases 3 and 4 of sewer improvements and city employee health insurance coverage. The council will continue work on 2008-2009 budgets for the City of Italy. Meeting begins at 6:30 p.m. in the council chambers of the Italy Municipal Building, 101 W. Main Street. All are welcome to attend.